I am doing research in computer Science as a PhD student. I have some research ideas and for months I've been continuously thinking about them, developing them and make them more specific. I mean, these ideas continually change until one day they are finalized. Over time they are more specific and complex. I use Evernote to write down my ideas, and sometimes maybe also brainstorm mapping tools like Mindmeister. But I found these tools are not good enough, e.g. not easy to structurize my ideas, or modify, elaborate them, in a word, manage my ideas. Do you have any good methods or tools for the organization/management of your developing research ideas? How do professors and professional scholars and researchers deal with this issue? May I recommend Org mode? It's free software, and it was created by Carsten Dominik, an academic himself. Its focus is to help you maintain hierarchical notes and to-do lists, but it has a lot of other features that are useful for juggling large amounts of information, such as tags, links, many kinds of summary reports, and capture (a way to quickly add a note in the right place before you forget it), as well as many features useful for scientists in particular, like tables, spreadsheets, mathematical notation, export (as papers, slideshows, or websites), and support for source code and reproducible research. Perhaps best of all, Org documents are text files, so you can munge them with standard Unix tools at whim. I've moved more and more of my workflow to Org since I started using it in 2010, and I regret nothing. Org has a steep learning curve, which gets steeper if you aren't already a disciple of the Church of Emacs. But as I see it, getting used to Emacs is worth it even without Org mode, especially if you do a lot of programming. I was an Emacs zealot for years before I took up Org. Open a google document. Write down your ideas as a list. If you need to structure them, nest the list items. Go over the document periodically. Take a look at wunderlist. They have done a good job task/note management. wunderlist 2 has just released with new features. Trello is another example. It may seem to be an project management tool, but you can use for managing your ideas on a whiteboard-style. Springpad is another way to save/organize things online. Your example Evernote, and others like do.com, todoist can be listed also. If you really need to find the right application you need to search hard. Take a look at here as well. 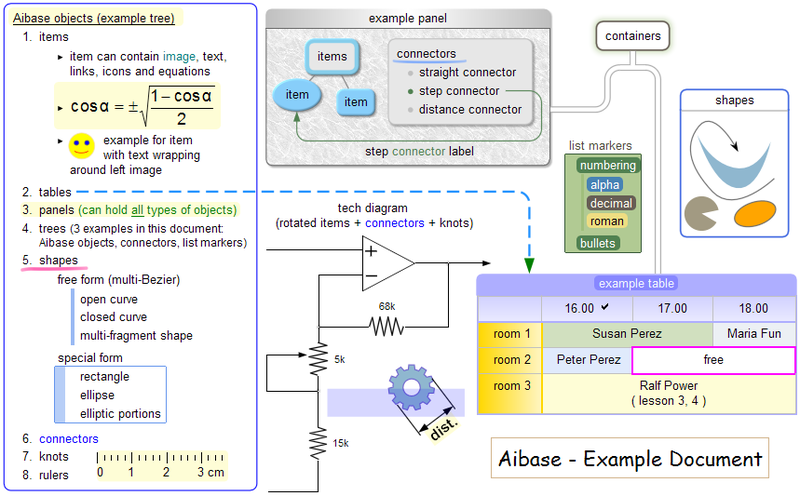 Mindmup is a online mind mapping tool. Hiro is another newly released tool. Try it here. For me, the best way is to keep a small notebook and write down what I have done in terms of research day by day. I also note the ideas for my thesis. After some point, when you go back and check your progress, you would be amazed how much things changed and become more mature. But the most important thing is that I realized what is best for me is to grep a pen and write down it on a paper rather than some website. Being jotted down to my to-do list to be thought of more in depth later, usually because I'm away from work. These will then later be thought through on the whiteboard. The primary benefit of the whiteboard is the freeform mapping. There are many mind-mapping software packages out there; I don't think any are as good as an actual whiteboard. On a physical board, you can write easily, sketch ideas, connect concepts, erase stupid stuff, and leave it there while you type easily. You can do this with a program, but you need to use a mouse and keyboard, which I find overly constrictive. I typically sketch the idea out there, and then just write it down either to paper or to an electronic notes program. I use Simplenotes, but there are many very similar programs... Evernote is very popular. Unless you're very savvy with the command line, I recommend against just using text files, as there's a huge benefit to having the features that come with these programs: quick searching, tagging, and attachments. Collect literature on a relevant topic and put it into a dedicated DevonThink group. When I see important points for the project in a particular paper, I create an annotation text document in the same group to write down these points. I import email related to the project (for example discussions with colleagues) into the database, so that I can link to them when making use of ideas obtained from there. When starting to synthesize ideas, I do it in a text document where I can insert links to or even image snapshots from the source documents in the DevonThink database. When working on a project, I create journal files in the DevonThink database, writing down what I did, what results I got, and maybe pasting screenshots or relevant result diagrams into the journal file. In my opinion these tools do restrict you too much. I prefer plain sheets of paper (A0 or bigger) pinned on the wall. Post-Its are wounderful for organising and structuring ideas. Probably parts of the books (there are many more) "Presentation Zen" and "Businessmodel, you" helped me with developing my own way of doing it. Essentially, I do write every idea on a Post-It and put them unordered onto a white paper (e.g 2 m long 1 m high). Afterwards I start to order them. This is an iterative process and I do it at least three times. These Post-Its serve as heading for my thoughts. I do write them underneath with edding. These posters stay at my wall as long as I need them and slowly, over time I add or reorder something. Highly recommended. Furthermore it helps, to walk around, move your arms, go back and forth etc. Microsoft OneNote was a great research helper for me for a long time, as it can save snippets of the pages with the link to the original site. But, after capturing several hundred notes, I could no longer find the needed one in a reasonable time. Some people start structuring their bookmarks into a deep tree of categories, but I was too lazy for that, so I found this Flamory tool. It does not offer any categorization at all, but instead it groups the snippets into topics automatically. I usually find recent bookmarks by looking through small screenshots that it shows, and for older one's I use the search. It can find words in the whole page or PDF that I bookmarked, not just the title. Not the answer you're looking for? Browse other questions tagged software productivity or ask your own question. Are there opportunities to support cancer research through volunteer IT or software development? Can I use decompiled source code for research?